Almost wordless: With all the heat and rain we’ve had this year, the prairie flowers seem taller than usual. 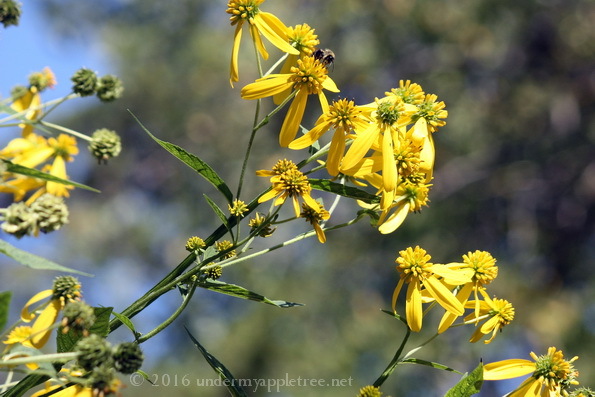 This coneflower was at least 8 feet tall and bending over the path. I had to shoot up into the trees to get the shot. I’ve noticed that too. All that rain and sun has made some gigantic bloomers here in MN also.